Creative Concepts Planning & Design, Inc. is a custom planning/interior design firm in South Central Indiana. Specializing in creating designs that withstand the test of time, both aesthetically and functionally! Lisa Smith Interiors is an award winning design firm specializing in the design of complete interior concepts and product selections for outstanding residential and light commercial interiors. With over 20 years experience our firm has the expertise to provide excellent results for your home. Along with client tailored design services, the firm offers a high quality collection of furnishings, custom window treatments, lighting, art and accessories. Our new retail store and studio is a great place to explore the possibilities! Beautiful Design for Real People. Simple. Affordable. Customized. Quill Decor is al local and online interior design and decor company bringing you personal, affordable home design solutions. Our goal is to help you tap into your own individual style and derive a plan that helps bring that style to life in your own home. Owner and Founder, Valerie Malone, has been working in the design industry for over 10 years both in the United States and abroad. She started her career as a commercial interior designer at a top firm in Nashville, TN, and most recently owned a local design and concierge business in Alberta, Canada. Valerie and her family now reside in Bloomington, Indiana as her husband recently accepted a job at Indiana University as an Assistant Professor of Entrepreneurship. At Quill Decor, we feel the most impressive homes are the ones that are put together with intention. Let us help you to thoughtfully procure a home that fits you and yours both functionally and aesthetically. Your home should be something you’re proud of, and also the most comfortable place on earth. Your home should be your canvas reflecting where you’ve been, while also representing where you want to go and who you want to be. Our passion is to help you stand back, assess your goals, and ultimately implement a Design Plan that will make your home all of these things and more. Whether you lack time to shop or scour the internet for the best options for your home decor, or if that notion just simply overwhelms you, we’re here to help. Professional training and 14 years’ experience in architecture and design is the underpinning for my flair in developing smart space and furnishing plans. This basic framework, however, is only the start of a myriad of choices and decisions that will need to be made to bring a project to completion. This can be overwhelming! My priority is to listen to you first of all, and then provide information, expertise and guidance for each step along the way, so you are not only delighted with the outcome, but comfortable with the process. I am dedicated to getting it right, as I go all out to make you a client not only for now, but for your future projects, no matter how big or small. Let’s work together to make your dreams a reality. Interior Design services for public and private spaces. We create "Liveable Luxury." Create. Serve. Love. Donna Barr is an award-winning interior designer known for her extraordinary customer service and for the unique, custom interiors she creates for prominent clients in Indianapolis and Carmel. Donna, a specialist in luxury and high value interior design, has 40 years experience developing one-of-a-kind interiors for executives, entrepreneurs, financial experts, doctors, lawyers, pharmaceutical reps and other successful professionals in Indiana and around the country. In addition to offering a full range of design services, she is a gifted interior consultant and coach. She advises clients on topics ranging from how to enhance the value – and resale value – of their homes to how to “age in place” in those homes. Nearly 75% of her work is repeat business, and she has served some of her clients for as long as 25 years. Donna, whose work has appeared in publications nationwide, has a reputation for creating a “Wow!” factor in each of her projects. Her designs are so original that she never uses the same fabrics, furniture or accessories for more than one client. With over 40 combined years of Architecture/ Interior Design experience, our staff is closely committed as a team, a team for which excellency is the goal. MAWR Design does not just deliver a product, it operates on the principle that our clients buy in to a relationship with our company, one which works as a partnership for the long term. We work fairly and equitably with our clients, contractors, and employees to promote mutual growth and the highest standards. You can rely on our experience to meet your design/construction specifications from design inspiration, to final approved product. We are dedicated to a long-term commitment to excellence and to the continuous improvement in quality and service. DESIGNING ARCHITECT AND BUILDERS OF THE 2016 WTHR HOME OF DISTINCTION. Chazzmin Jones Interiors is more than just a full-service design company - our team partners with you to turn your dream home into a reality. We hear. We listen. We respond. We have our finger on the pulse of the latest trends, always focusing on the personalized details that make your home one-of-a-kind. Our proactive approach and anything-is-possible philosophy are why we enjoy such a loyal following among our clientele. What truly separates us in the competitive world of Interior Design is our approach to creating exceptional spaces that will leave a lasting impression on everyone who enters your domain. Our team is dedicated to making every design reflects the host's personality, taste, style and budget. Our experience and personal touch ensures a seamless and cohesive space, whether it's in a small apartment nestled in the heart of the city or a 12 room luxury home in the suburbs. We work with you every step of the way, starting with the initial consultation, design and budget planning. No matter the project, our unmatched creativity and precise planning will give you a truly one-of-a-kind design that conveys the essence of what House of Chazzmin truly is. Jenni Egger provides her clients with design and decorating services to suit every budget and style. With a passion for adding dimension, pattern, texture, functionality, beauty, and comfort to the spaces she touches, Jenni offers a full range of products and services to her clients through JenniEggerDesigns. Jenni’s experience lies in interior design and project management. 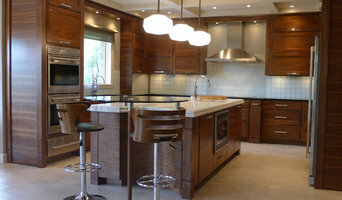 Her passion shows primarily in millwork, cabinetry, built ins, and lighting. Her scope extends to finishes that bring a space to life, like flooring, light and plumbing fixtures, wall treatments, furniture and window treatments. Her client’s expression of themselves is of utmost importance to her, and her true reward is when she can bring their vision or wishes for their room to life. Bringing out the inner decorator of those she works with is a joy for Jenni. With a natural eye for color, lighting, spacing, scale, and function, Jenni can quickly assess what is needed to make a house a home. Whatever the dreams are for the place you live, Jenni can help you make them come true. In addition to offering Consulting Services, Jenni connects her clients with tried and true professionals in the areas of demolition, framing, trim carpentry, drywall, painting, plumbing, electrical, window replacement, upholstery, window treatment fabrication, tile work, and most trade professional needed to complete a job. Jenni also works with General Contractors of her clients. 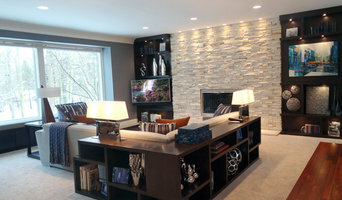 Dovetail Group is an Interior Design company focused on residential remodeling, residential furnishings and decor, commercial consulting, and custom new build consulting. We thrive on creating beautiful designs under a variety of budgets, styles, time frames and requirements. Dovetail Group provides clients with a full service design process that includes structural changes, as well as furnishings and accessory proposals utilizing 3D software.